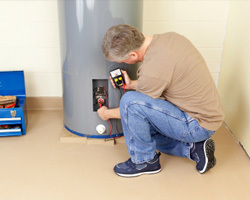 Woolley’s Plumbing can repair or replace any brand of hot water service – gas or electric. We can install or upgrade systems to meet your specific needs. Correct sized systems run more efficiently, resulting in savings on energy and water costs. For same-day water service repairs, call us on 1300 367 626. Our expert team can advise on the best solution for your situation.